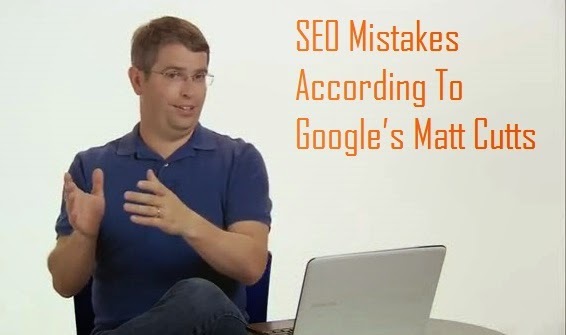 Google’s head of search spam Matt Cutts listed very common SEO mistakes webmasters make while taking care of SEO aspects. Google's Matt Cutts said these are not the most devastating mistakes, but rather, the most common mistakes. Having a website that is not crawlable is the biggest mistake he sees. Not including the right words on the page. The example Matt gave is: don’t just write, “Mt. Everest Height” but write, “How high is Mt. Everest?” because that is how people search. Don’t think about link building, think about compelling content and marketing. Don’t forget to think about the title and description of your most important pages. Not using webmaster resources and learning about how Google works and what SEO is about. Here’s his video where he mentioned about the 3-5 mistakes done by webmasters in SEO areas.